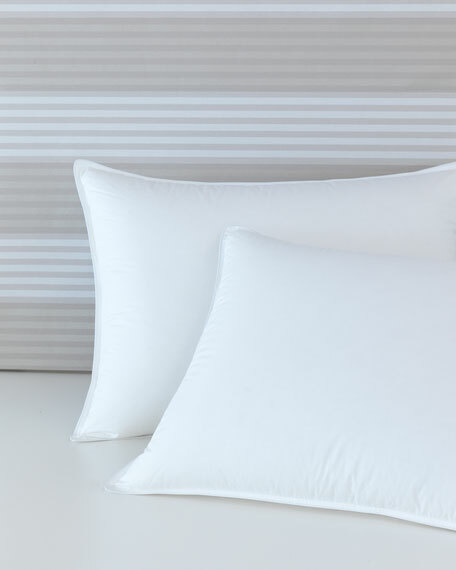 Down pillow of 320-thread-count European white cotton batiste. 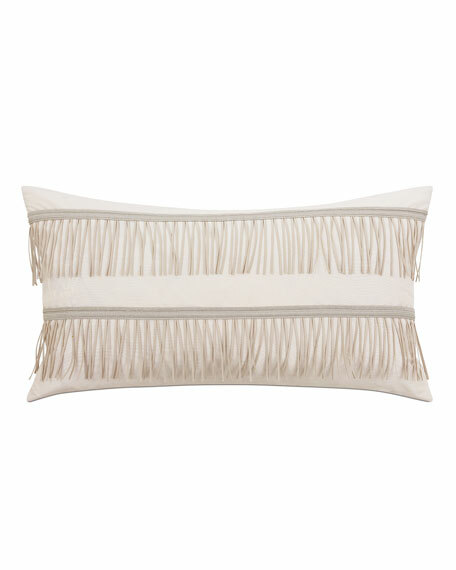 Decorative pillow with ribbon tassel trim on front. Polyester. 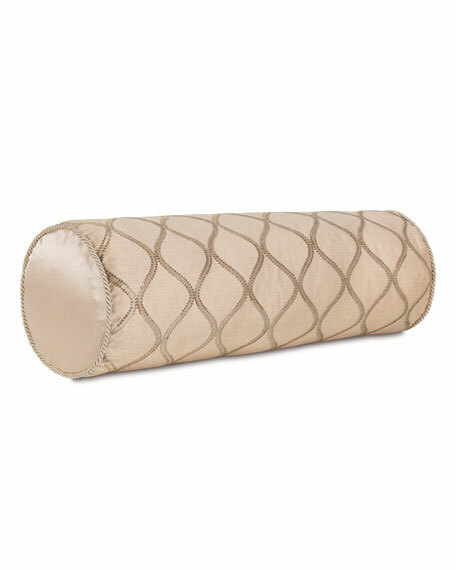 Feather insert included. Dry clean. 15" x 26". Made in the USA of imported materials. Exclusively ours. 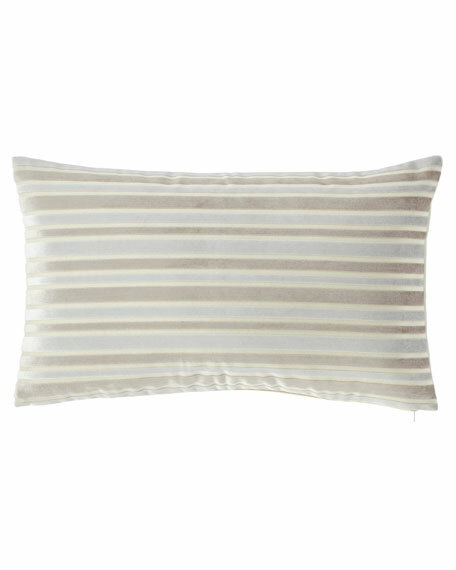 Striped pillow. Rayon/polyester. Polyester fill. 14" x 24". Dry clean. Made in the USA of imported materials. 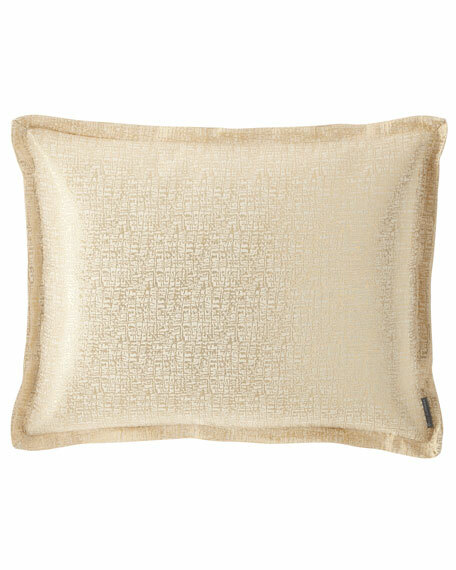 Metallic pillow with flange. Linen/Lurex metallic fiber. 20" x 26". Dry clean. Imported.